The team is back in Palma de Mallorca, Spain training full time with Iker Martinez and the Movistar team. The progress the team has been able to make in the GC32 with the support from Iker has been tremendous. 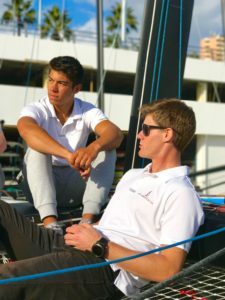 Next Generation USA looks forward to pushing hard in the GC32 through the Winter and into the Spring leading up to competitions this Summer.